Emma is an Associate Attorney at Landau, Hess, Simon & Choi. She represents businesses and individuals in a variety of immigration matters. Emma received her J.D. from Temple University Beasley School of Law in 2013. During law school, Emma served as a legal intern at the Pennsylvania Innocence Project and the Pennsylvania Immigration Resource Center. She also participated in a clinical at the Nationalities Service Center, where she represented low-income individuals in many immigration issues, ranging from cancellation of removal to asylum to adjustment of status. After law school, Emma was a fellow at the Hebrew Immigrant Aid Society, where she represented victims of domestic violence and sexual assault in their immigration matters. 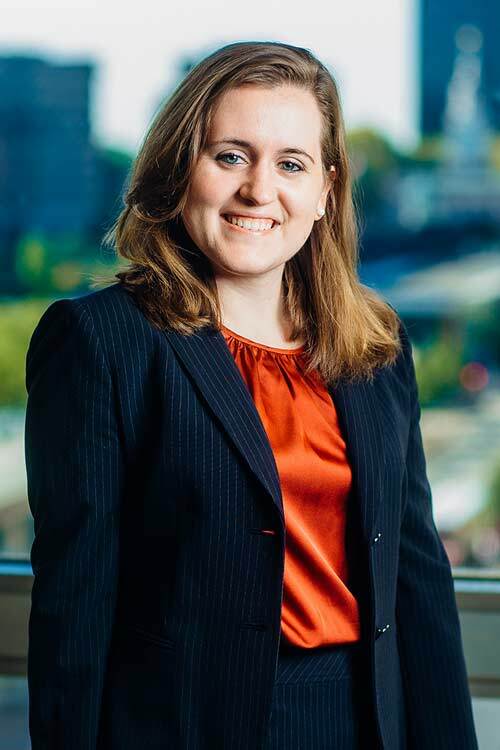 Emma is licensed to practice law in Pennsylvania and New Jersey, but can practice immigration law in any state. She is a member of the American Immigration Lawyers Association (AILA). Emma received her B.A. in Global Studies from the College of William and Mary.